“Display this list on the Quick Launch”. name will automatically reflect on the Quick Launch menu. the position up or down. Watch the short video below to see the steps. provides end-users with on-demand, and in-context help exactly at the moment of need. The help system automates help and support for SharePoint and Office 365 end-users. 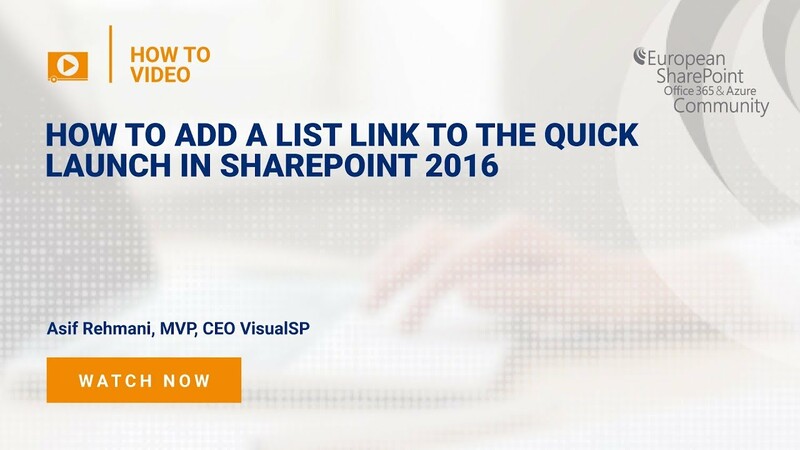 Asif Rehmani has been a SharePoint Trainer, Consultant, Author, and a SharePoint Server MVP since 2007. He’s the founder of VisualSP Help System.